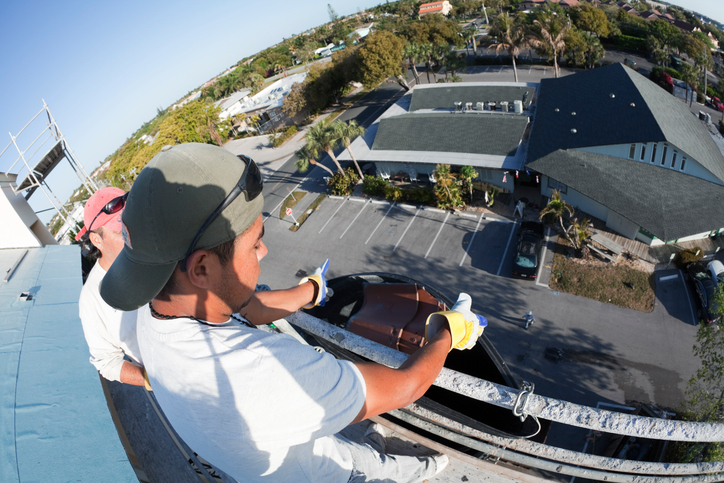 When you replace the roof on your commercial building, you want to make sure you’re working with people you can trust to get the job done right and who will stand behind it. At Belmont we understand the unique issues building owners and managers have to consider. We can install a number of different roof systems tailored to meet your building’s needs. Whether it’s EPDM (rubber), TPO, PVC, shingles, or synthetics, we have the expertise to guide you through the roofing process. We’ll work with you to design a roof system that will best fit your needs. There comes a point when you have to do something you’ve dreaded for a long time. You’ve got to replace your roof. But you’ve come to the right place! We make the roofing process simple. For service relating to hail damage, check out our Storm Damage page to learn more. For any other services, read on! First, we’ll send out a qualified roofer to give you a free estimate. He’ll explain everything we’re going to do, and answer any questions you have. We’ll always give you several different shingle options that we recommend so you can choose the right fit for your home. If you’re interested, we can even give you some addresses of houses that we’ve roofed in your neighborhood so that you can get a better idea of what a certain shingle style and color will look like on your home! If your gutters are old, leaking, damaged, or you’re just tired of painting them, then it’s time to replace them. Installing new rain gutters isn’t rocket science, but it’s not something you want to try if you’re not an experienced professional. That’s where we come in. We’ve got several fantastic gutter options with plenty of color choices. The new seamless gutters we install are made with high-grade aluminum coil. A new roof is a great upgrade for your home, but new fascia wrap and soffit panels can really improve it! In addition to looking super snappy, new fascia wrap and soffit panels can provide stylish, low-maintenance protection while improving your exterior’s utility. Your Belmont Roofing representative will present you with several options and help you design a custom plan for your home.